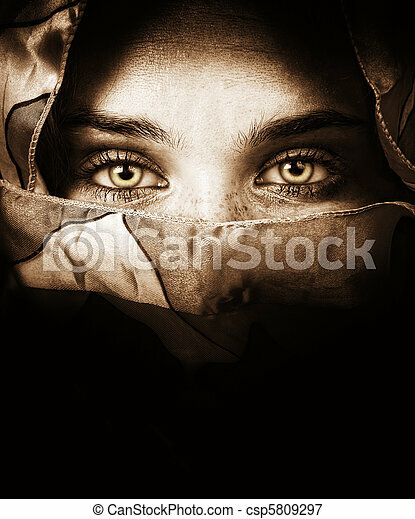 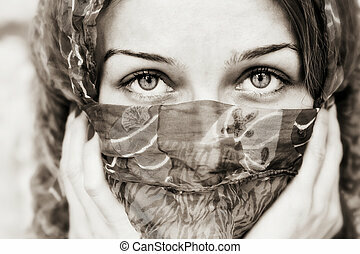 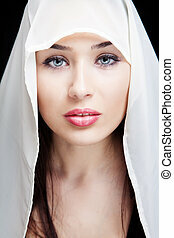 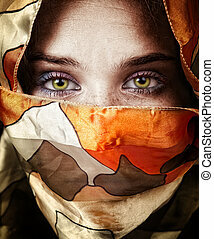 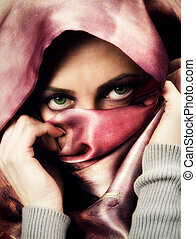 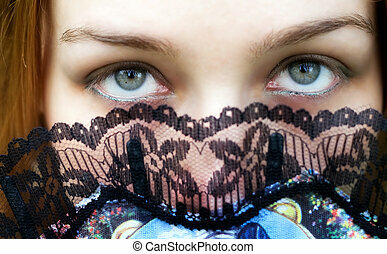 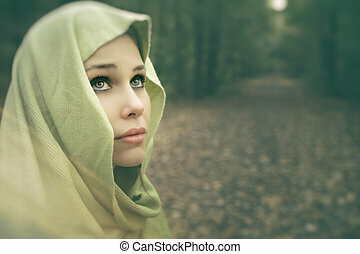 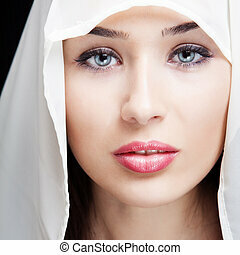 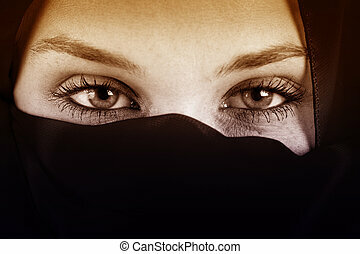 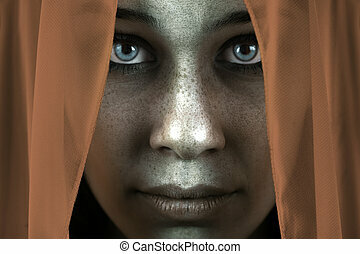 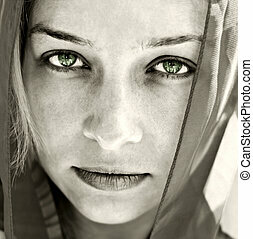 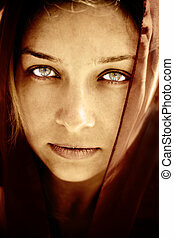 Sensual eyes of mysterious woman behind scarf. 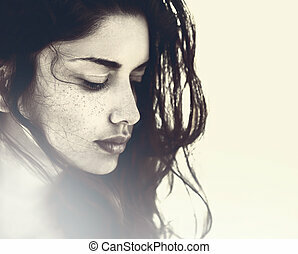 Sensual woman posing with closed eyes. 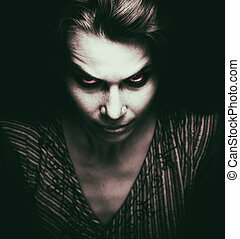 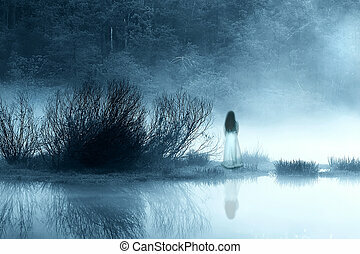 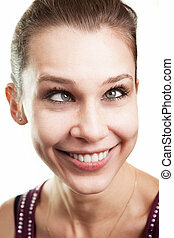 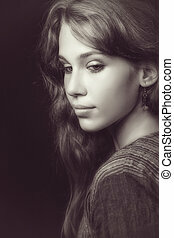 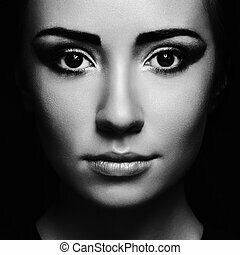 Romantic beauty portrait. 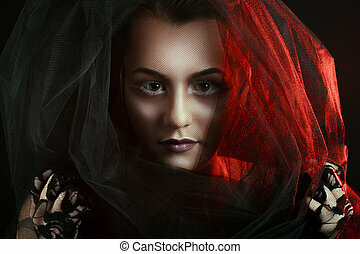 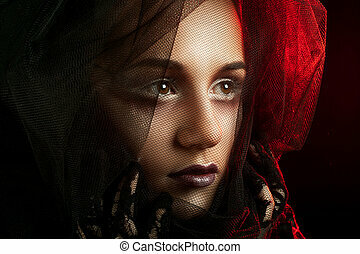 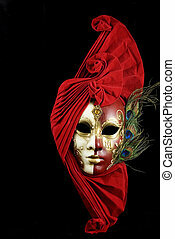 beautiful woman with red lips and lace mask over her eyes.